KANAB – Every summer in August, Kanab, Utah, hosts Western Legends Roundup, a weeklong festival that celebrates the city’s history as a hub for motion picture production. Featuring appearances by actors like Clint Walker, Dan Haggerty of TV’s “Grizzly Adams,” and Robert Fuller of TV’s “Wagon Train,” along with cowboy poets and noted historians, Western Legends delivers a mixture of entertainment and education that film fans around the world find irresistible. The largest city in Kane County, Kanab sits a few miles above the Arizona state line on the rural highway that links Bryce Canyon, Zion National Park and the Grand Canyon — a 90-minute drive from St. George. Since the 1920s, hundreds of productions have been filmed in and around Kanab, ranging from the classic western “The Outlaw Josey Wales” to sci-fi epics like “Planet of the Apes” and “John Carter” to such well-remembered television shows as “Gunsmoke” and “Have Gun Will Travel.” Kanab has played host to many of Hollywood’s biggest stars, as well, including Maureen O’Hara, James Garner, Clint Eastwood and John Wayne. Ronald Reagan, who filmed several episodes of “Death Valley Days” in Kane County, frequently lodged in Kanab, too. Several factors initially contributed to the motion picture industry’s decision to film in Kanab and Kane County. In the early part of the last century, cowboy movies were tremendously popular. James D’Arc, curator of Brigham Young University’s motion picture archive, said the studios were constantly searching for fresh settings to use in their movies. “When film after film began to look the same, using the same Western locations in and around Los Angeles … they had to look for areas that had a new look,” D’Arc said. Eventually, this need for novel scenery drew the studios up from California into Nevada and then Southern Utah. Parry’s efforts progressed slowly at first. Only a handful of silent Westerns, with titles like “The Shepherd of the Hills and Ramona,” were shot in Kane County and neighboring Garfield County in the late ’20s. But then, in 1931, the Parry brothers purchased a farmhouse in downtown Kanab, which they converted into an inn and named the Parry Lodge. Under Whit Parry’s supervision, the Lodge quickly became, in Jim D’Arc’s words, “a headquarters for motion pictures companies,” and it played a significant role in Kane County’s growth as a production center. Indeed, the number of movies made in the county rose considerably in the 1930s after the Parry Lodge opened. Many of these pictures were low budget features and serials. But then, in 1937, the area hosted its first “blockbuster” production, “The Bad Man of Brimstone,” an MGM feature starring Wallace Beery. The movie’s subsequent success at the box office further enhanced Kanab’s reputation in Hollywood circles. As testament to this, the following year Paramount Pictures sent its most important director, Cecil B. DeMille, to the county to shoot “Union Pacific” with actors Joel McCrea and Barbara Stanwyck. The region saw even more growth in the 1940s. “Oddly enough, with restrictions that most people associate with the World War II economy, that’s when Kanab (began) to explode as a movie center,” D’Arc said. 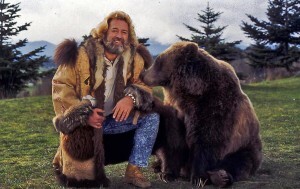 The original “Grizzly Adams,” Dan Haggardy. Wellman returned to Kane County eight years later, in 1951, to shoot “Westward the Women.” Featuring Robert Taylor as a wagon master who leads a group of women on a cross-country trek, the movie was filmed in both Paria and Johnson Canyon, where Wellman had several sets built. 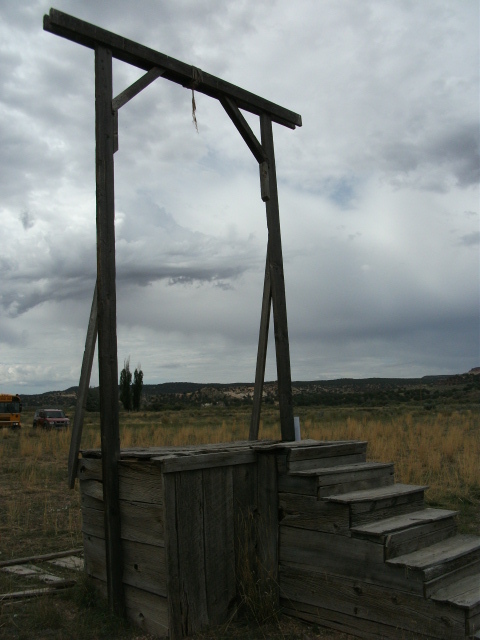 These sets would be used again later in the decade, after CBS Television decided to shoot episodes of “Gunsmoke” in the county. In the mid-1950s, Little Hollywood also saw the arrival of a prolific producer named Howard W. Koch. With future stars like Peter Graves and Chuck Connors, Koch made several inexpensive Westerns in and around Kanab, among them “War Drums,” “Fort Yuma” and “Tomahawk Trail.”A close friend of Whit Parry, Koch actually filmed one of his movies in the Parry Lodge, a thriller called “The Girl in Black Stockings.” The picture starred Lex Barker, Marie Windsor, Anne Bancroft and Mamie Van Doren. Koch became one of Hollywood’s most successful producers in the 1960s, overseeing the production of such classic films as “The Manchurian Candidate” and “The Odd Couple.” His first big picture of the decade, though, was “Sergeants 3,” a comic remake of George Stevens’s “Gunga Din.” Filmed in 1961 in Bryce Canyon and Paria, the picture was directed by John Sturges, and its cast included Frank Sinatra and his Rat Pack friends Dean Martin, Joey Bishop, Peter Lawford and Sammy Davis Jr. Many of the film’s stars stayed at the Parry Lodge. Hollywood’s interest in Kane County continued through the 1960s, and several high-profile movies were made there, particularly in the Lake Powell reservoir area. Director George Stevens, for instance, came to Lake Powell to shoot his biblical epic “The Greatest Story Ever Told,” an eight-month, $25 million production, which employed hundreds of local people. Parts of “Planet of the Apes” were filmed there, too. The 1960s also saw the production of “MacKenna’s Gold,” a high-budget Western starring Gregory Peck and Omar Sharif that follows several characters as they search for treasure in the desert hills. Though decades have passed since “MacKenna’s Gold” was filmed, visitors can still find sets and props the picture’s crew left behind, including rocks and boulders that were painted gold for the production. The number of movies produced in Kane County dropped in the 1970s when the public’s appetite for Westerns began to fade. But in the years since, the region’s rich past has boosted Kanab’s popularity as a tourist stop. Visitors can find sets used in pictures like “The Apple Dumpling Gang Rides Again” and “One Little Indian,” for example, in the city’s Little Hollywood Museum, or drive into Johnson Canyon to see what the locals call the Gunsmoke Movie Set, a cluster of houses, a saloon and even a hangman’s gallows that were built for “Westward the Women” initially and were subsequently utilized for the “Gunsmoke” TV show. 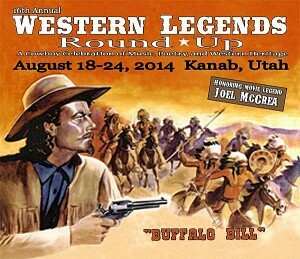 And, of course, there is the annual Western Legends Roundup. Clint Walker, star of the “Cheyenne” television series, is a regular at the festival, which occupies the main streets of Kanab each August. Singer-actor Johnny Western has strong feelings for Kanab, too. Best known, perhaps, for writing the theme song for the “Have Gun, Will Travel”show, Western also had a brief acting career; one of the films he appeared in was Howard W. Koch’s “The Dalton Girls,” which was shot in Kanab in 1957. Dr. Stephen B. Armstrong is an associate professor of English at Dixie State University in St. George, where he teaches in the professional and technical writing and creative writing emphases. He is the author of two books, "Pictures about Extremes: The Films of John Frankenheimer" (McFarland & Co., 2008) and "Andrew V. McLaglen: The Life and Hollywood Career" (McFarland & Co., 2011). He also edited "John Frankenheimer: Interviews, Essays and Profiles" (Scarecrow Press, 2013). A lot can change in 4 years. 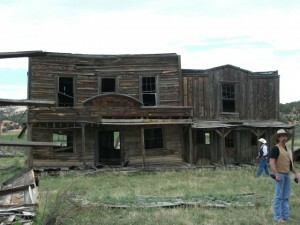 The Gunsmoke set pictured has not been preserved and is no longer standing. It looks nothing like the pictures you included.